If you have been reading this blog for any length of time, it is probably obvious that I will take any and every chance to dress up. For the past few years, I have had the opportunity to volunteer at the Marin Symphony Gala - and it is a fabulous opportunity to go all out! Last year I made a blue brocade and satin gown for the occasion, and the year before I made my favorite Emerald Green Gown. I usually start looking for inspiration at least a year in advance. 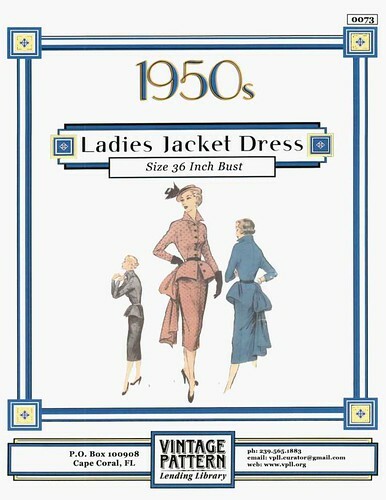 Years ago, I lusted after this reproduction from The Vintage Pattern Lending Library. It disappeared from the site, and after numerous emails without any response, I figured I had missed out on getting a copy. Drat! 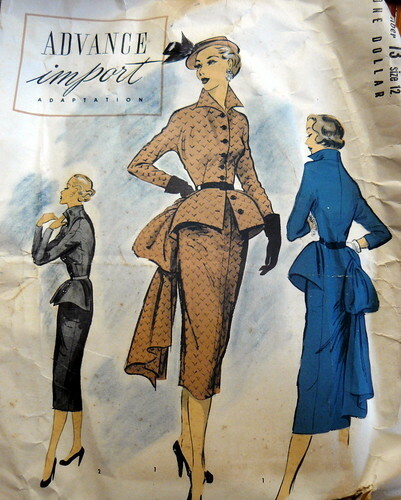 It is an Advance Import pattern from the 1950s and finding an original copy would probably be impossible. But earlier this year while I was wandering around online, I noticed that it had reappeared. Whoo-hoo! 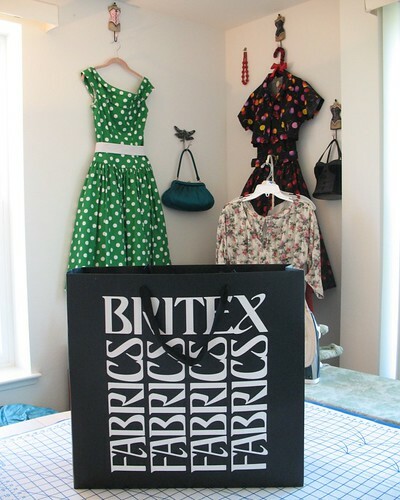 Britex Fabrics has generously sponsored this project. I will be working with an amazing silk/linen blend and some beautiful vintage buttons. 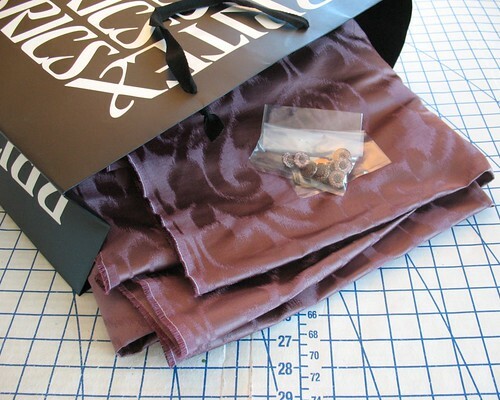 But before I even pull the fabric out of the bag, there is a lot of work to do! As always, my intention is not to be stitching last minute details the day of the event . . . I have never managed this in the past, so we shall see how it goes! Yay! Can't wait to see your progress...I love advance import patterns! I can see why you have wanted this pattern for such a long time - it looks as though it was designed with You in mind - it will look stunning on you. That pattern, a silk/linen blend, and YOU! Await word, the voices in my head are ruminating. Oh, I can't wait to see what you do with this!! The components of this project couldn't be more perfect. That is one incredible pattern. It would be worth getting just to see how that bustle/bow attaches, how heavy it is, how does it not drag the seam down, etc. Of course now we have you to demonstrate it for us! I am so excited to see this project. That pattern has me floored! I can't wait to see the creation in your photos!! Can't wait to see your take on this pattern - I can see why you were so drawn to it! In the third photo down, what pattern is black-background floral dress hanging on the right, behind the light floral? That dress would be perfect for my figure type! I'm afraid my hips are too big for any style of lovely fitted suit. I love the dress, but it has an attached petticoat and it takes up too much precious closet space, which is why it lives on the wall! It's a gorgeous pattern, and I can't wait to see the finished result. Good luck! How tremendously exciting! That is such a strikingly elegant pattern, I can easily see why you were smitten with it. I love that you think so far in advance. I've been known to do that with outfits for certain recurring events, too. I can't wait to see how it turns out! Everything you show here on the blog always looks fantastic.